No power needed other than imagination and muscle. An ergonomically designed handle fits securely and comfortably in the palm of your hand for prolonged use without fatigue. 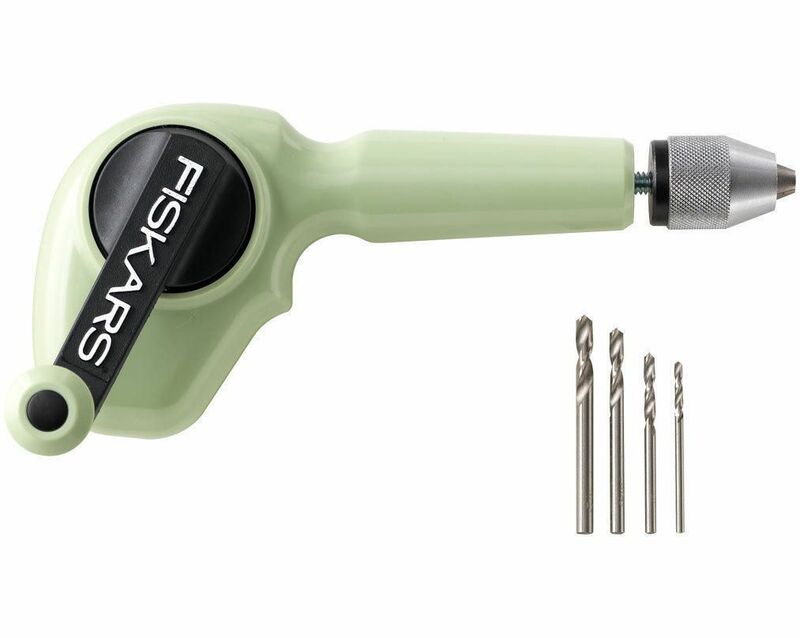 This hand drill is especially handy for use with the fine drill bits used in bookbinding. Includes easily interchangeable drill bits, sizes 3/32", 1/8", 5/32" and 3/16".